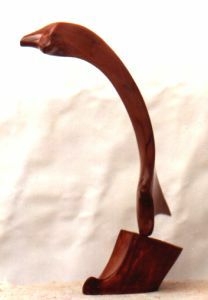 Seeking by Sculptor and Artist Leigh Morgan creator of sensuous timber sculpture and carvings in red cedar and native Australian woods. 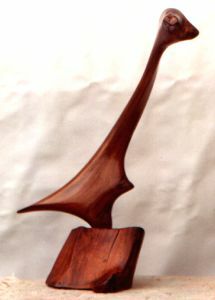 "Seeking" 1977 Australian Red Cedar © L Morgan 98. Finish: French polish, rubbed back and waxed.